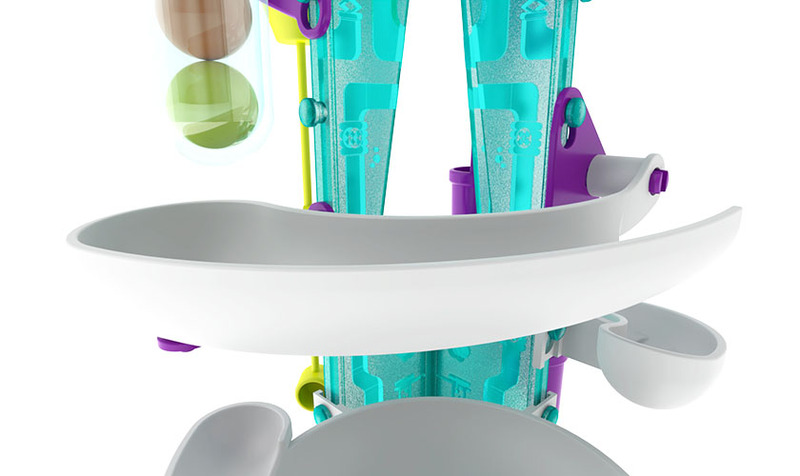 Super sweet stunts! 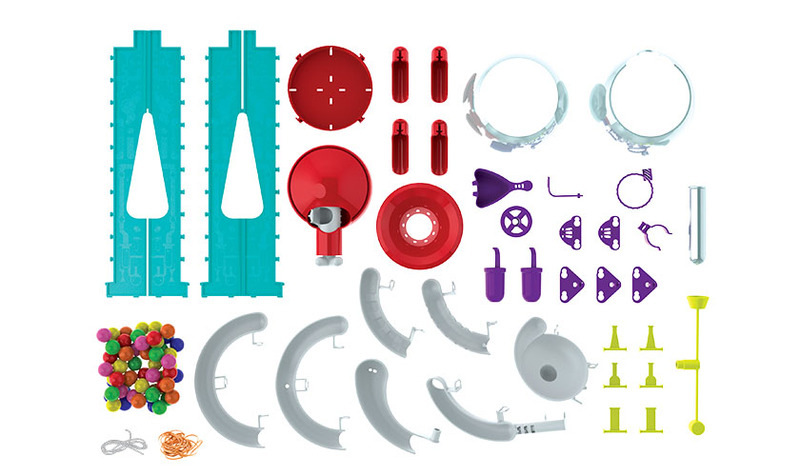 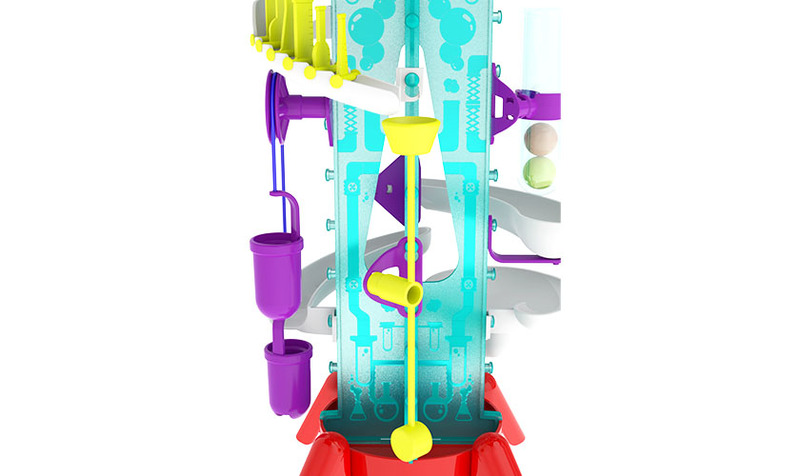 Build your own gumball machines and learn physics lessons in the process. 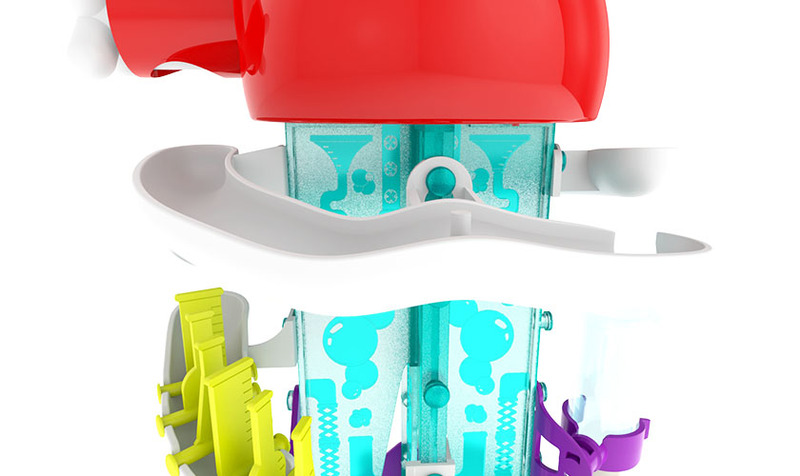 A turn of a handle dispenses one gumball at a time out of the clear storage globe and down the track. 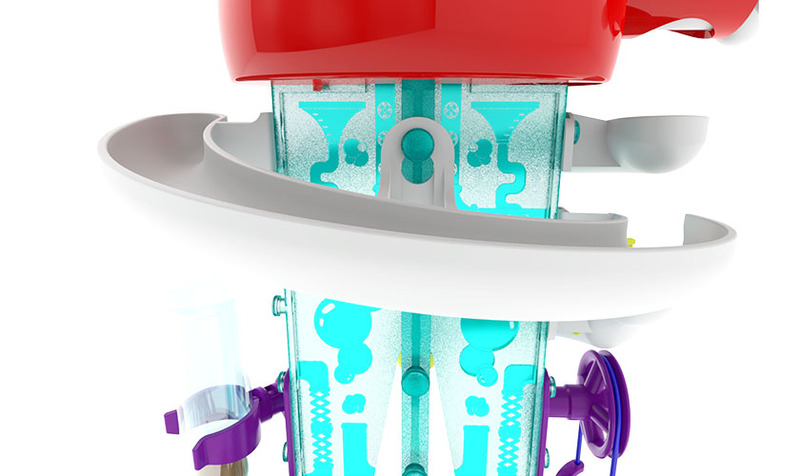 The gumballs land in a collection cup and can easily and sanitarily be returned to the globe for another run. 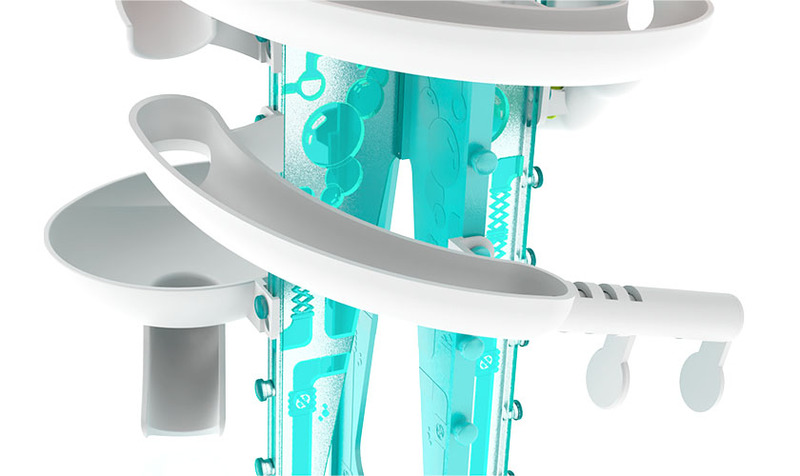 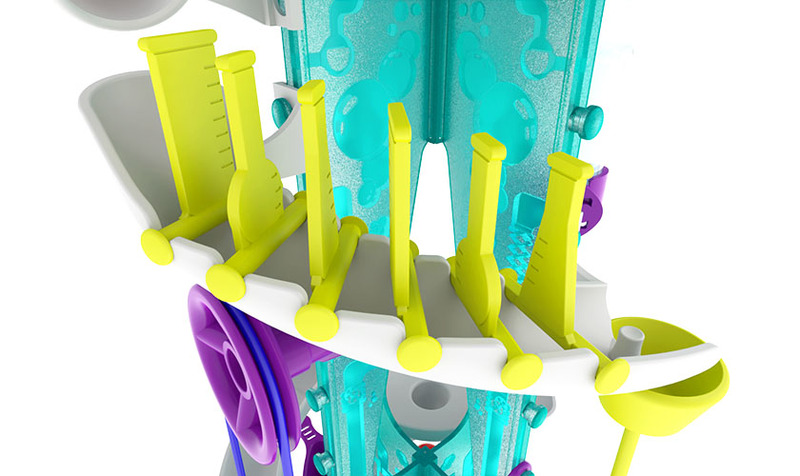 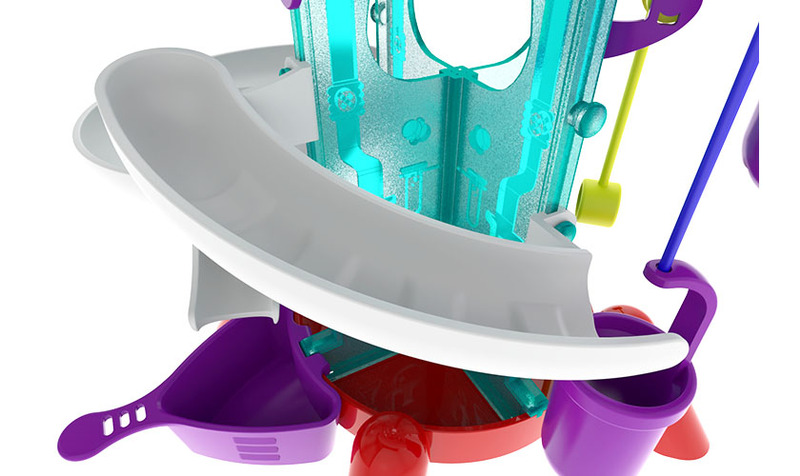 The track segments can be moved around on the base to create an almost limitless number of different gumball machines. 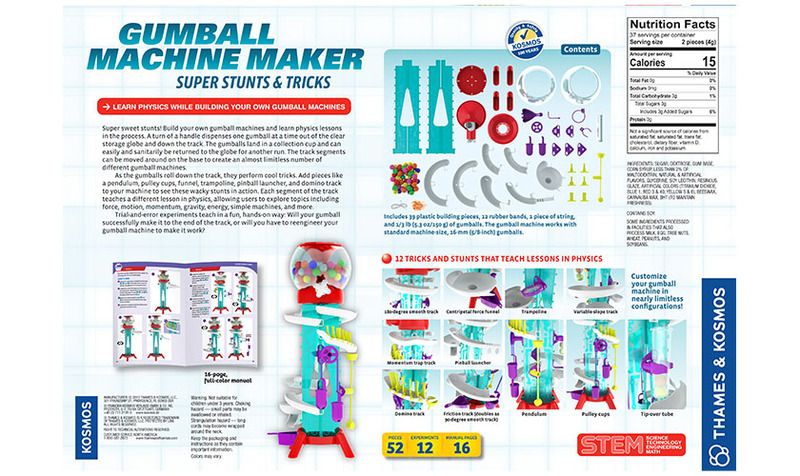 As the gumballs roll down the track, they perform cool stunts and tricks. 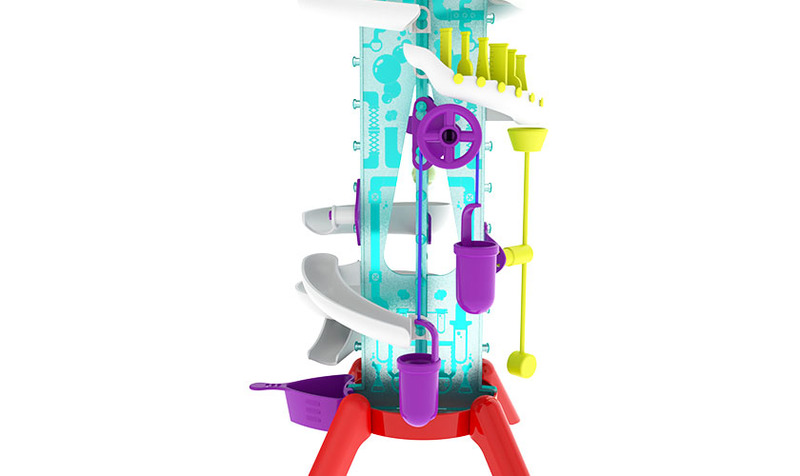 Stunts include a pulley lift, pendulum, funnel, trampoline, variable-slope ramp, pinball launcher, and domino slide. 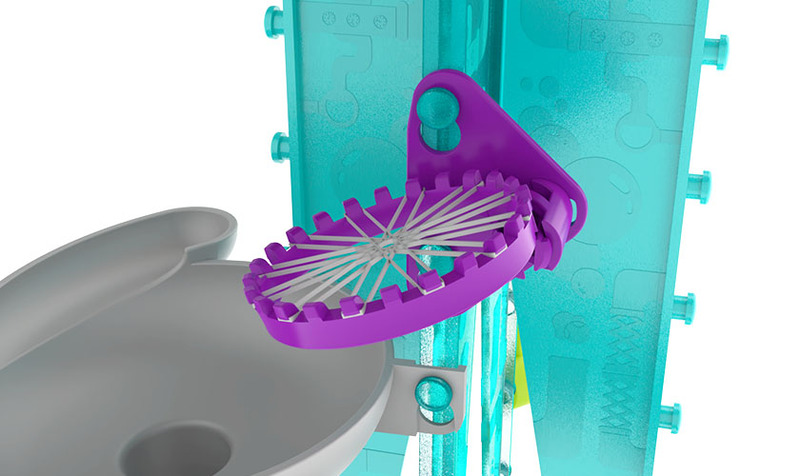 Each segment of the track teaches a different lesson in mechanical physics, allowing users to explore topics including simple machines, force, motion, momentum, gravity, Newton’s laws, energy transfer, and more . 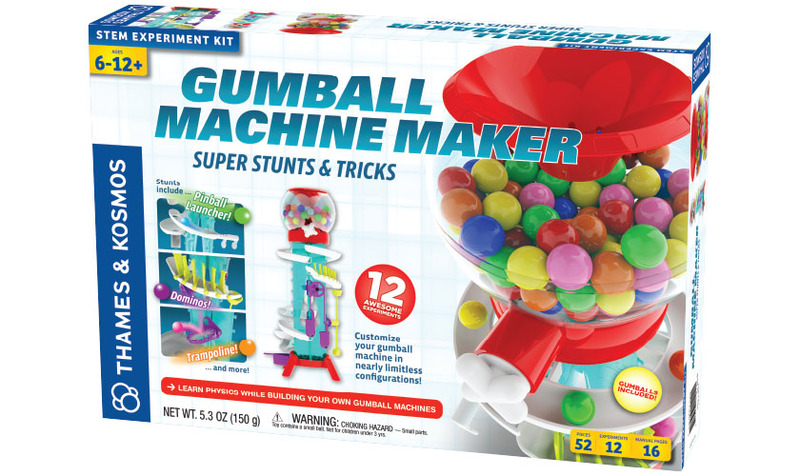 Trial-and-error experiments teach in a fun, hands-on way: Will your gumball successfully make it to the end of the track, or will you have to reengineer your gumball machine to make it work? 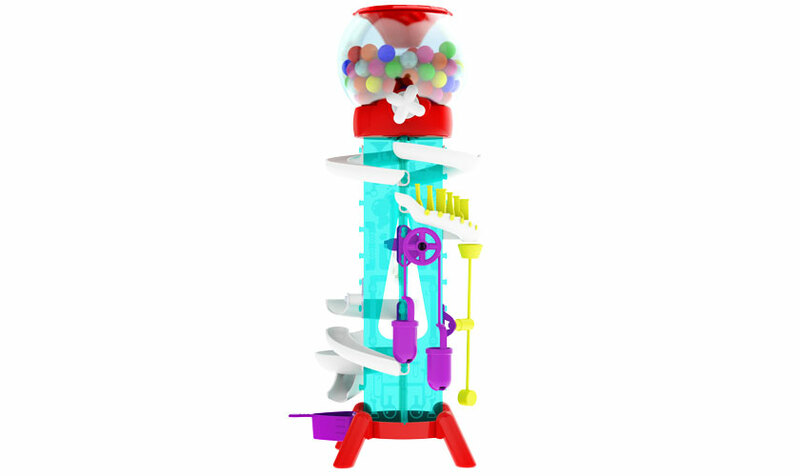 The kit works with standard machine-size, 16-mm (5/8-inch) gumballs and includes a small supply of gumballs to get started.